During the years when Canadian Idol was broadcast on CTV, I would take my family to Toronto each summer where we would watch the performance and results shows live in studio. It was a great experience. We became friendly with host Ben Mulroney and two of the judges, Jake Gold and Zack Werner. When Idol went on hiatus a few years ago, our exciting summer adventure came to an end. CTV has a terrific media relations department and as Idol was winding down its run, they began communicating with me to promote their other entertainment reality show, So You Think You Can Dance Canada. I was paired up with Quebec judge and former international ballroom dance champion Jean-Marc Genereux for regular telephone interviews. When Quebec dancers did well, phone conversations were arranged. After Montrealer Nico Archambault captured season one, CTV had him on the phone for me the next morning. Because Idol filmed during my summer holiday, it was always easy to get away for a few days. Dance really only got going in September, so catching some live episodes was pretty much out of the question. This season, happily, they began airing in June and basically took the old Canadian Idol slot. With the American version of Dance on Wednesday and Thursdays, slotting Canada on Monday and Tuesdays made a lot of sense. Last week we did indeed experience the Dance performance and results shows, recorded before a packed studio audience at Showline Studios downtown. Tickets are actually free, but hard to get. People get in line early to get a space in the pit beneath the stage and the select few spots above. There are limited seats available. The performance show, at this stage of the game, is two hours with commercials. Everyone is loaded into the s tudio early as the charismatic Josh warms the crowd up, brings some people on stage to do a little dance and sets out the rules and guidelines – when to clap and when not to etc. Josh also pops up during commercial breaks. Leah Miller, the gorgeous host of the show, appears on the tower above the stage for the opening sequence. There is excitement in the air as the director gets the show rolling and the judges and performers are introduced. The show we attended featured the top 18 performers, including four Quebecers - St. Laurent’s JP Dubé, Laval’s Denitsa Ikonomova, Montreal’s Christian Millette and François Pruneau of Trois-Rivières. They all did very well. 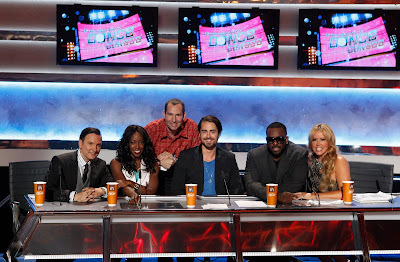 After the taping, a CTV publicist brought us to the judges table where we met with Genereux and the other judges. Nico was a special guest judge on this evening and I was happy to finally meet him in person. When one of the CTV publicists asked if I`d like to interview a dancer, I inquired whether I could do so with one of the Quebecers. Imagine my surprise as she brought all four Quebecers out. 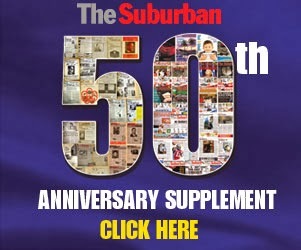 You can read my exclusive interview with them on pages 38 and 39 of The Local Suburban. I was happy to see the Quebecers all survive the cuts and remain in contention for this week. Christian and Denitsa, I believe, have a good chance of going to the top four. Now a little bit more about Genereux. He began dancing at age 10 with his partner, and now wife, France Mousseau. Within six years the pair had won every regional and State çhampionship. In the early 1980’s they began dancing the International style of ballroom dance and won multiple competitions and all the major championships in North America, participating in 10 world championships as the first representatives for Canada. Genereux and Mousseau turned professional in 1987 and danced in every major city around the world from Asia and Australia to Europe and America. In 12 years they won over 200 competitions. Genereux and Mousseau retired from the competitive scene in 1998; however, the two still travel all over the world to judge and choreograph for elite competitors. Genereux performed in the motion picture Dance With Me, featuring Vanessa L. Williams, and the motion picture Shall We Dance, with Jennifer Lopez and Richard Gere. In 2006, Genereux joined the cast of the American version of So You Think You Can Dance as a choreographer, and is back for the show’s current season. Genereux has created choreography for The Rachel Ray Show and is now a permanent judge on Dancing With the Stars France. Genereux was also the lead choreographer for the motion picture Funkytown, and appeared in the tenth season of DEGRASSI as a dance teacher. Genereux is one of the organizers behind the Rocky Mountain Dancesport Grand Prix in Calgary, AB this coming fall, and recently started his own line of dance shoes through the company Dance Import International. An avid artist and painter, Genereux has become well-loved by viewers as the judge who speaks from the heart and isn’t afraid to show emotion, but dancers have to work hard to earn a spot on his VID (very insane dancer) list. To see what a special person Genereux is and how he and his wife care for their special needs child, read the profile which appeared in the last edition of Inspirations Newspaper.